Operating with permanent authorization under the Military Selective Service Act, and run by a Director who reports to the President of the United States, Selective Service System (SSS) is an independent federal agency responsible for being prepared to provide trained and untrained personnel to the Department of Defense should a national emergency arise. The draft was actually terminated in 1973, but the Selective Service System has continued to operate for 44 years. 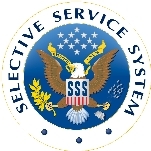 The Selective Service System was created in 1917, during World War I, when Congress passed the Selective Service Act, which required the registration for military service of all men from the ages of 21 through 30. The Selective Training and Service Act of 1940, passed by Congress during the administration of President Franklin Delano Roosevelt, mandated the first compulsory enlistment into U.S. military service during a time that the country was at peace. It also formally established the Selective Service System as an independent federal agency. Between 1948 and 1973, during times of war and peace, men were drafted for vacancies in the service that were not filled by volunteers. In 1973, during President Richard Nixon’s administration, the draft was ended, and the United States utilized an all-volunteer military, with the requirement to register suspended in April 1975, when President Gerald Ford signed the Terminating Registration Procedures Under Military Selective Service Act. In 1980, in response to the Soviet invasion of Afghanistan, President Jimmy Carter brought back the Selective Service registration requirement for male citizens, which currently remains in effect. As of 2015, 91% of men 18 to 25 have registered, and there are almost 17 million names and addresses on file for U.S. male citizens between the ages of 18 and 25.
being prepared to implement, if there is another draft, an Alternative Service Program for men classified as conscientious objectors, which would provide those individuals public service work assignments in the country, in lieu of military service. Registration for the draft for 18- to 25-year-old men is currently mandatory, and refusing to register is against the law, except for a few exceptions, which include non-immigrant aliens on student, visitor, tourist, or diplomatic visas; men already on active duty in the U.S. Armed Forces; and cadets and midshipmen in the Service Academies, and certain other U.S. military colleges. For all other men 18-25, if Congress and the President decide to reinstate a draft, a lottery drawing would be conducted to determine the order in which they would be called, with the first priority group consisting of those in the calendar year of their 20th birthday. A classification program would also go into effect, whereby registrants would be examined to determine suitability for military service, and would have ample time if they wanted to claim exemptions, deferments, or postponements. To be inducted, men would need to meet the physical, mental, and administrative standards established by the military services. Selective Service Reserve Forces Officers would also then be called to active duty, to establish State Headquarters and Area Offices at predetermined locations, and at the same time the civilian volunteer board members would be activated. Currently, when there is no draft, due to past difficulties with enforcing the registration requirement, the Selective Service System works in tandem with other government agencies in the implementation of varying methods of encouraging registration, which include requiring registration if a man between 18 and 25 wants to receive student financial aid or federal grants and loans. According to USAspending.gov, the Selective Service System has spent more than $18.9 million on more than 1,000 contractor transactions during the past decade. Services have ranged from ADPE system configuration ($2,775,944) and data collection ($2,098,317) to miscellaneous professional services ($1,614,804), training/curriculum development ($1,147,210) and food cooking/serving equipment ($782,221). Four men sued the federal government in 2011 claiming they were unfairly terminated from their government positions for not registering for the draft. Their case was founded on the argument that the Selective Service System was sexist since women are not required to register after they turn 18. Under current law, male citizens—but not females—must register with the Selective Service System within 30 days of their eighteenth birthday. Failure to do so is considered a crime punishable by fine and/or prison. Men may register belatedly up to the age of 26. In the case of the lead plaintiff, Michael Elgin had worked for the Internal Revenue Service (IRS) for 11 years when a routine background check for a promotion in 2002 revealed that he had never complied with the Selective Service System. IRS officials did not want to fire Elgin, but were forced to do so five years later by the Office of Personnel Management. Elgin and three other men—Aaron Lawson, Henry Tucker, and Christon Colby—filed suit in Massachusetts federal court Their lawyers pointed out that no American has been drafted since 1973, and that more than 200,000 women now serve in the U.S. military. Women are eligible for 80% of military job titles and now make up 15% of the armed forces. They lost their case, but appealed to the Fifth Circuit Court of Appeals, which disagreed with the lower court ruling and sent it back for reconsideration. The case went before the U.S. Supreme Court, which heard oral arguments in Elgin v. Department of the Treasury in February 2012. In its 6-3 opinion delivered in June, the Supreme Court decided against the plaintiffs, declaring that federal employees can’t sue in the courts if they lose their jobs for not complying with a law, even if they claim that the statute in unconstitutional. Instead they must go through existing federal merit boards. The decision avoided the issue of the sexist nature of the draft. Although the idea of bringing back the draft is extremely unpopular, over the years various politicians and others have suggested reinstating the draft as a way to have a more equitable representation of Americans in the service, as well as to deter politicians from launching wars. In 2003, 2006, and again in 2011, Congressman Charles Rangel (D-New York) introduced bills that would have reinstated the draft, but none have passed. There have also been calls for women to be added to the mandatory registration list, or to close the SSS altogether, as well as complaints that the law is unconstitutional. In February 2011, Rep. Peter DeFazio (D-Oregon) proposed a House amendment to the spending bill that would end the SSS, but a voice vote of the membership killed it. At the same time, Rep. Mike Coffman (R-Colorado)—an Army and Marine Corps veteran—introduced a bill to abolish the agency, claiming that the draft of the early ’70s was inefficient compared to today’s volunteer force, which he described as professional and successful. Now that Women can serve in forward combat rolls will you require them to register for the draft like their male conterparts in order to recieve finacil aid for education? I have just been denied Financial Aid over reasons that I have failed to register with Selective Services. I need to know who keeps military records on armed services recruiting. I have attempted to enlist in the Army and Marines but have failed some physical tests. At that time, I thought that I was automatically registered. I have explained this to the Director of Financial Aid at my school but it is not sufficient information to prove that I made attempts. I recieved just the basic letter from Selective Services BUT I need some sort of copies of my attemtp to enlist in the armed services. I have gone through the tests both mental and physical but did not make the physical part. There must be some kind of record keeping but unless, I get some proof of this, the Director of school said that I have no other choice but to pay out of pocket. I need your help!!! Thank YOu. Hello, I am a 13year old male, I have found that every male in the United States of America must sign up for selective service when we turn 18, I do not like this for this is sexism, I also do not like the fact that if you are homosexual or bisexual they do not want you in case of a draft, please E-Mail me so we can further continue our conversation. Employees: 124 (FY 2016 Estimate) There are also 56 State Directors and one Deputy State Director, who work for the agency 12 days a year; 175 Reserve Force Officers, who serve approximately 36 days per year; and about 11,000 civilian volunteer board members. (FY 2011) In addition, the State Directors, Reserve Force Officers, and volunteers are trained to be ready, in the event of a draft, to be called into full service. President Barack Obama’s choice to head the Selective Service System was Lawrence G. (Larry) Romo, a retired lieutenant colonel in the U.S. Air Force Reserves. He was confirmed by the Senate December 3, 2009, and sworn in December 12. Since there has been no military draft since 1973, the role of director is largely ceremonial. Romo grew up in San Antonio, Texas, graduating from Highlands High School in 1974. He attended the Air Force Academy, where he received a Bachelor of Science degree. He earned a Master of Education degree from Montana State University–Northern (formerly Northern Montana College). From 1987 until 1992 Romo was an Item Manager for the Directorate of Special Weapons. From 1992 to 1999, he was the Transition Assistance Program Specialist at Kelly Air Force Base responsible for aiding military personnel transitioning into the civilian job market. In 2000, Romo was among 10 candidates seeking to fill a vacancy on the San Antonio City Council when Councilman José Menendez in District 6 vacated his seat. Even though Romo had worked with Menendez’s staff on several local initiatives, he was not chosen to assume the post. He ran unsuccessfully for San Antonio’s city council in 2001 and 2005. Most recently, Romo was the Soldier and Family Assistance Program Manager for the U.S. Army 5th Recruiting Brigade at Fort Sam Houston in texas. He also was an Admissions Liaison Officer for the Air Force Academy. 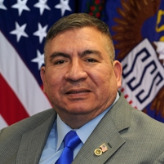 Romo has served as chairman of the Bexar County Veterans Committee (Texas) and as chairman of the San Antonio Commission for Children and Families. He has been a member of the American Legion, American GI Forum, and the Military Officers Association of America. In 2008, he contributed $1,022 to Hillary Clinton’s presidential campaign and was was a Clinton delegate to the Democratic National Convention. He also appeared in a political advertisement attacking U.S. Senator John Cornyn (R-Texas) for his record on veterans’ affairs.